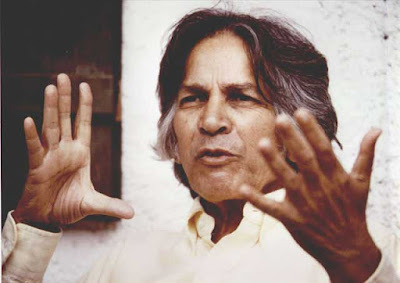 Uppaluri Gopala Krishnamurti (9 July 1918 – 22 March 2007), known as U. G. Krishnamurti, was an Indian man who questioned enlightenment. He rejected the very basis of thought and in doing so negated all systems of thought and knowledge. Hence he explained his assertions were experiential and not speculative. Tell them that there is nothing to understand. Although many considered him an "enlightened" person, Krishnamurti often referred to his state of being as the "natural state". He claimed that the demand for enlightenment was the only thing standing in the way of enlightenment itself, if enlightenment existed at all.